iBroken Canada is a customer satisfaction driven company. We are just regular people helping regular people. Broken iPhone 8 glass? Bad iPhone 8 home button? We can fix it. Every single screw goes back to where it came from. The way it should be. Professional iPhone 8 screen replacement and iPad screen repair. If you’ve tried to fix your iPhone 8 screen repair yourself but aren’t able to finish the job, we can help with that too. You break it, we fix it! iPhone 8 and iPhone 8 Plus are smartphones designed, developed, and marketed by Apple Inc. They were announced on September 12, 2017, alongside the higher-end iPhone X, at the Steve Jobs Theater in the Apple Park campus, and were released on September 22, 2017, succeeding iPhone 7 and iPhone 7 Plus. Reception of the phones was mixed, with reviewers praising the addition of wireless charging and the new Apple A11 processor, while significantly criticizing the aging design. The parts for these models are the same and most repairs can be fixed within an hour. iBroken Canada offers iPhone 8 screen replacements in 90 minutes. The iPhone 8 is also known to have poor battery life. The battery on the iPhone 8 can be changed in less than 45 minutes. iBroken Canada also is easily able to replace the dock connector on the iPhone 8 in about 90 minutes. The Dock Connector on the 8 is the same component that regulates the charging and the headphone jack. 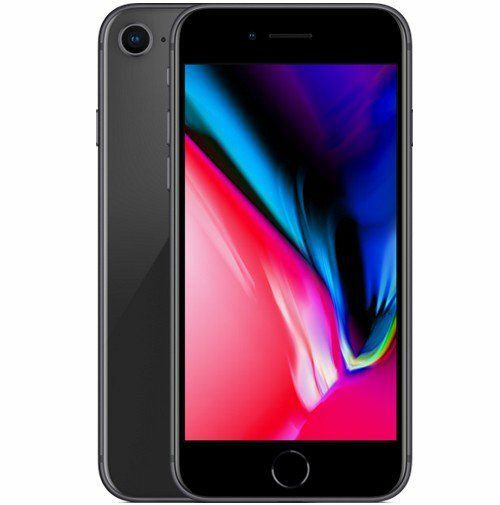 If your iPhone 8 has any issue pertaining to that listed above, this is the repair you’ll need. If your iPhone 8 Camera doesn’t open, has spots, or is blurry you may need a new camera, we can fix that as well. Bring it in so we can diagnose it, and if we can fix it, we’ll have you in and out ASAP. Contact us today so we can fix it and get your iPhone 8 fixed!